Lithium carbonate prices were slightly down in March. Lithium market news - Joe Lowry: "My take on supply and demand: Don't look for a price crash any time soon. Demand is robust." Lithium company news - several transactions complete, Orocobre Cauchari JORC Resource increases to 4.8 million tonnes, PLS Stage 3 post-tax NPV10% of A$3.73b. Wow! Welcome to the March 2019 edition of the lithium miner news. This past month saw many transactions complete and generally good news for the lithium producers. During March, 99% lithium carbonate China spot prices were down 2.24%. Spodumene (5% min) were down 1.05%. Fastmarkets (formerly) Metal Bulletin reports 99.5% lithium carbonate battery grade spot prices cif China, Japan & Korea of US$11.50-13.50/kg (11-13,500/t), and min 56.5% lithium hydroxide battery grade spot prices cif China, Japan & Korea of US$15-16.50/kg (15-16,500/t). China lithium spodumene prices are USD 600-750/tonne. Nowhere near enough lithium companies are getting funded....The lithium in the pipeline is well behind what is needed.....Auto companies will have to do something drastic......(later)...Something has got to give. You're going to have supply problems in the next 2 years for these battery megafactories.....The demand is not just there, it is intensifying.....there isn't enough (raw material). Note: Now at 71 megafactories (up from 41 a year ago), 45 are in production now. The battery megafactory is now here, and it is real. A generally tight lithium market for the next three years at least..... The investor disconnect in understanding between demand and spotty supply additions is as stark as any I had seen in the 20 years I was involved in financial markets. 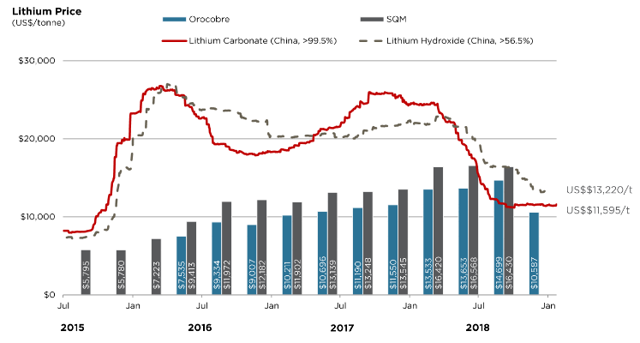 While the lithium price in China has fallen from its lofty heights earlier this year, the price is representative of a small portion of overall lithium supply, which is also low in quality. ......I think battery metals prices will remain essentially flat through H1 2019 owing to supply additions coming on stream from existing producers......(Lithium) Supply and demand will remain tight going forward as I see no dents in the demand armor, while supply will increase slower than many expect from Western Australian spodumene producers. The challenges that Albemarle is having with Chilean authorities, SQM’s delayed ramp up in the Atacama, Galaxy’s production challenges, and Orocobre’s continued underperformance are only the latest examples of how utterly ridiculous the oversupply thesis has become. My take on supply & demand. 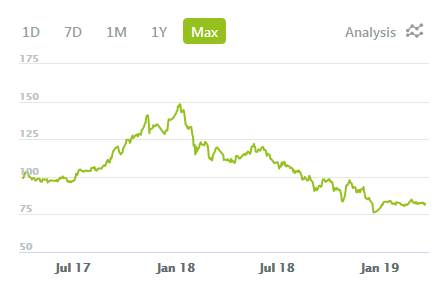 Don't look for a price crash any time soon. Demand is robust. Hard rock and brine both have their place. The "Big 4" $SQM $ALB #Ganfeng #Tianqi will still have over 60% of supply in 2025. Benchmark Mineral Intelligence is now tracking 70 lithium ion battery megafactories under construction across four continents, 46 of which are based in China with only five currently planned for the US. When I gave my last testimony in October 2017, the global total was at 17," Moores said.....Moores said that these megafactories are being built almost exclusively to make lithium ion battery cells using two chemistries: nickel-cobalt-manganese [NCM] and nickel-cobalt-aluminium [NCA]. On March 13, Investing News released an excellent video from Simon Moores discussing the urgent need for investment into the EV metals supply chain - "Simon Moores: Big Investors are Turning Down the Century's Top Trend." Albemarle Corporation raises dividend for 25th consecutive year, continues commitment to returning shareholder value. The board of directors of Albemarle Corporation announced today that it has declared a dividend of $0.3675 per share, an increase of 10 percent over the previous quarterly dividend and representing a rate of $1.47 on an annualized basis. SQM report earnings for the twelve months ended December 31, 2018. SQM reported high net income for the twelve months ended December 31, 2018 of US$439.8 million. Revenue during 2018 were US$2,265.8 million higher than revenues reported during 2017. Adjusted EBITDA margin for the twelve months ended December 31, 2018 reached 39%. You can view a recent SQM CEO's interview here. Investors can read the company's latest presentation here. Livent Corporation announces completion of separation from FMC Corporation. Livent Corporation today announced that FMC Corporation has completed its previously announced distribution of 123,000,000 shares of common stock of Livent as a pro rata dividend on shares of FMC common stock outstanding as of 5:00 p.m. EST on the record date of February 25, 2019. Tianqi Lithium: China's Tianqi Lithium to name 'fair, responsible' directors for SQM board. China's Tianqi Lithium Corp plans to appoint three members to the board of Chilean miner SQM who will be "fair" and "responsible toward shareholders", Tianqi Chairman Jiang Weiping said on Friday. Tianqi's $4.1 billion purchase of a 23.77 percent stake in SQM, the world's second-biggest producer of lithium, a metal used in electric vehicle batteries, went through in December. The purchase drew scrutiny from Chilean regulators and opposition from SQM's majority shareholder Pampa Group after it was announced in May 2018. Construction is ongoing at their Kwinana lithium hydroxide plant in Western Australia, and is expected to be finished soon. On March 6 Neometals announced: "Half year report for the half year ended 31 December 2018." "AUD$104 million divestment of Mt Marion equity interest complete. Neometals cash balance at ~ AUD$131 million plus ~AUD$7 million in listed investments. Core strategy remains to de‐risk and develop long life projects with strong partners and integrate down the value chain to increase margins and return value to shareholders. Neometals Board has refined short‐term project development priorities: Driving the Barrambie Project’s engineering, approvals and financing processes toward a Final Investment Decision for the development of a primary vanadium operation in 2019; Completion of the lithium‐ion battery recycling pilot and feasibility study in parallel with market qualification, partner and approvals processes; and Advancing design and approvals activities for the Lithium Refinery Project and proving‐up of zeolite co‐product opportunity." Investors can also read my article: "Ganfeng Lithium Looks To Be A Great Buy." Regarding Neometals investors can read my recent article: "An Update On Neometals", and my January 2019 CEO interview here. Cauchari JORC Resource increases to 4.8 million tonnes Measured + Indicated and 1.5million tonnes Inferred LCE. Orocobre Limited is pleased to announce that the updated resource estimate for the Cauchari JV property located in Jujuy Province, Argentina, has more than doubled from the previous resource announced in May 2018. The exploration program is being managed by JV partner Advantage Lithium Corp. who hold 75% of Cauchari. Orocobre owns 33.5% of Advantage Lithium’s issued capital and 25% directly in the joint venture. H2 2020 - Olaroz Stage 2 (42.5ktpa) commissioning. H2 2020 - Naraha lithium hydroxide plant (10ktpa) commissioning. You can read the latest investor presentation here, or my article "An Update On Orocobre." Posco transaction complete. Galaxy Resources Ltd is pleased to advise that final settlement of the sale of a package of tenements located on the northern portion of the Salar del Hombre Muerto to POSCO has now been completed, following the registration of the tenement and usufruct transfers by the local Mining Courtin Salta Province. All registrations for the tenement transfers in the Catamarca Province relating to the POSCO transaction, were completed in December 2018. Galaxy will now receive US$271.6million (after $8.4 million in with holding taxes was paid in November 2018) as follows: US$257 million consideration held in escrow plus interest accrued will be released by the Escrow Agent to Galaxy by Tuesday 26 February 2019; and US$14.6 million will be paid by POSCO directly to Galaxy by Friday 1 March 2019, now that registration of the usufruct transfers has also been completed. "Group EBITDA of US$281.2 million (which includes a gain on sale of US$223.0 million (pre-tax) arising from the POSCO transaction), an increase of 818% compared to FY 2017. Group EBITDA of US$58.1 million from operations, an increase of 90% compared to FY 2017. Group net profit after tax of US$150.2 million (which includes a gain on sale of US$146.8 million (post-tax) arising from the POSCO transaction). Group net profit after tax from operations of US$3.5million, compared to US$0.1 million in FY 2017. Earnings per share (undiluted) of~US$0.37 for FY 2018. Total lithium concentrate production and sales volumes of 156,689 (growth of 1%) and 159,255 (growth of 4%), respectively. After the reporting date Galaxy announced the final settlement of the POSCO transaction with resulting increase in the Company’s cash balance of US$271.6 million. Nil borrowings as at 31 December 2018." On March 1 Galaxy Resources announced: "POSCO final settlement funds received." 2019 - Sal De Vida partner and construction announcements. 2019 - James Bay FS. 2022 - Sal De Vida production may begin. Investors can read my article "Galaxy Resources Sal De Vida Project Is About To Be De-Risked After A Huge Cash Sale To POSCO, and my CEO interview here, and the latest company presentation here. Consolidation of financing arrangements. Alliance Mineral Assets Limited is pleased to advise that it has consolidated its debt facilities into a simplified structure and at a lower average interest rate. A wholly‐owned subsidiary of the Company, Lithco No.2 Pty Ltd, has on the date of this announcement completed the drawn down of the remaining A$20 million of its A$40 million secured funding package from a consortium of lenders led by Tribeca Investment Partners Pty Ltd (Lithco Facility)1. Funds drawn down under the Lithco Facility will be used to repay the Company’s existing A$13 million loan facility (AMAL Loan Facility)2, which incurred a higher interest rate than the Lithco Facility. "Continuing infill drilling of areas that contain approximately 8.8Mt of Inferred Resources which have potential to add to Bald Hill Mineral Reserves. 90 first‐priority infill holes have been planned and others will be added as the program progresses. 60 infill drill holes were completed in 2018." Investors can read the Alliance Mineral Assets Limited company presentation here or a CEO interview here. Tawana/Alliance has a binding five-year off-take agreement with Burwill Commodity Limited. "Completion of commissioning of Stage 1 Altura Lithium Mine. Significant milestones delivered in production and recoveries of both coarse and fines products. Mining operations delivering ore at or above grade forecast with waste-to-ore ratio in line with the mine plan. Further planned enhancements to the process plant aimed at delivering additional production increases." Completion of heavily-oversubscribed SPP. Altura Mining Limited is pleased to advise that the Company’s Securities Purchase Plan [SPP] has been completed, with final interest considerably above the maximum allowable amount of $14 million. Investors can read my latest article "An Update On Altura Mining". Investors can also read a company presentation here. Pilbara Minerals exercises option to continue progressing downstream JV with POSCO. Moves Pilbara Minerals closer to becoming a participant in the down stream ‘value-added’ lithium chemicals market. 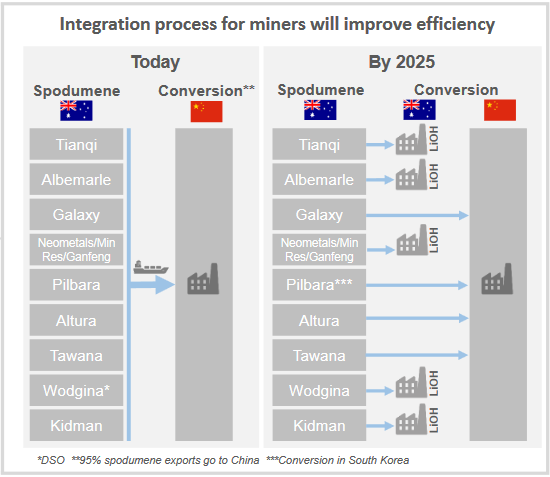 Option to enter into an incorporated downstream joint venture [DJV] with POSCO to develop a 40ktpa LCE (lithium carbonate equivalent) capacity downstream chemical conversion facility in South Korea conditionally exercised by Pilbara Minerals’ Board. On March 26 Pilbara Minerals announced: "Stage 3 Scoping Study outcomes." Stage 3 (7.5Mtpa) post-tax NPV of A$3.73b. Wow! 2019 - Production ramp up. Q1 2020 - Stage 2 commissioning planned. Investors can read my recent article "An Update On Pilbara Minerals", and a recent interview here. "Revenue increased by 23% to $344.4 million in the fourth quarter of 2018 from $280.7 million in the fourth quarter of 2017. EBITDA(2) was $62.8 million in the fourth quarter of 2018, a 90% increase over the same period in 2017. Full year 2018 EBITDA was the highest in AMG's history, increasing by 73% to $217.1 million, from $125.5 million in the prior year. EPS, on a fully diluted basis, increased by 104% to $0.92 in the fourth quarter of 2018 from $0.45 in the fourth quarter of 2017. Full year 2018 EPS, the highest in AMG's history, increased by 65% to $2.97 per fully diluted share from $1.80 per share in 2017. Return on capital employed increased to 35.4% in 2018, as compared to 21.2% in 2017. Operating cash flow was $97.4 million in 2018, a 24% increase over 2017, enabling AMG to end the year in a net cash position. Total 2018 dividend proposed of €0.50 per ordinary share, including the interim dividend of €0.20, paid on August 14, 2018, an increase of 79% over the prior year's total dividend of €0.28." H2 2018 - Production to begin at the Mibra mine in Brazil (initially 90ktpa). End 2019 - Stage 2 production (additional 90ktpa) to begin. 2019 - Cauchari-Olaroz plant construction. 2020 - Stage 1 Cauchari-Olaroz lithium production of 25ktpa. 2022 - Possible 2022 lithium clay producer from Thacker Pass Nevada (full ramp by 2025). NB: LAC now owns 62.5% of the Cauchari-Olaroz project and partners with Ganfeng Lithium (37.5%). Investors can read my article "An Update On Lithium Americas." Nemaska Lithium sends lithium hydroxide monohydrate samples to several potential customers. Nemaska Lithium Inc. is pleased to announce that it has started the qualification of its high purity lithium hydroxide monohydrate products with more than 20 customers globally. The Corporation began shipping samples within 60 days of installing drying and bagging equipment at its Shawinigan Phase 1 demonstration plant. Sample sizes range from 450 g to 350 kg and have been requested by customers ranging from cathode manufacturers, to battery makers to industrial grease users, in addition to our existing offtake customers, which include LG Chemicals, Johnson Matthey and Northvolt. “We have just achieved a major milestone in our vertically integrated project from mine to plant. This first delivery, completed in less time than expected, confirms our ability to produce superior quality battery grade lithium hydroxide from our Shawinigan Phase 1 plant facility. 2019 - Capital raising. Project construction to continue. Late 2020 - Possible start lithium carbonate and hydroxide production. 2019 - Kwinana WA (2 x 24ktpa stages) - Tianqi Lithium - Under construction. 2020 - Shawinigan near Montreal Canada (23ktpa) - Nemaska Lithium. 2021 - Kalgoorlie WA (initially 10ktpa) - Neometals/? - Feasibility stage, may start by 2021. 2021 or after - Near Bunbury WA (5 x 20ktpa stages) - Albemarle/Mineral Resources. Note: Neometals has sold their 13.8% share of Mt Marion. Lithium juniors include AIS Resources [TSXV:AIS] (OTCQB:AISSF), American Lithium Corp. [TSX-V: LI] (OTCQB:LIACF), Argentina Lithium and Energy Corp. [TSXV:LIT] (OTCQB:PNXLF), Argosy Minerals [ASX:AGY] (OTC:ARYMF), AVZ Minerals [ASX:AVZ] (OTC:AZZVF), Bacanora Minerals [TSXV:BCN] [AIM:BCN] [GR:1BQ] (OTC:BCRMF), Birimian Ltd [ASX:BGS] (OTC:EEYMF), Critical Elements [TSXV:CRE] [GR:F12] (OTCQX:CRECF), Dajin Resources [TSXV:DJI] (OTCPK:DJIFF), Enigri (private), Eramet (EN Paris:ERA) (OTCPK:ERMAY), European Metals Holdings [ASX:EMH] [AIM:EMH] [GR:E861] (OTC:ERPNF), Far Resources [CSE:FAT] (OTCPK:FRRSF), Force Commodities [ASX:4CE], Infinity Lithium [ASX:INF], Kidman Resources [ASX:KDR] [GR:6KR], Latin Resources Ltd [ASX: LRS] (OTC:LAXXF), Lithium Australia [ASX:LIT] (OTC:LMMFF), Lithium Power International [ASX:LPI] (OTC:LTHHF), LSC Lithium [TSXV:LSC] (OTC:LSSCF), MetalsTech [ASX:MTC], MGX Minerals [CSE:XMG] (OTC:MGXMF), Millennial Lithium Corp. [TSXV:ML] (OTCQB:MLNLF), Neo Lithium [TSXV:NLC] (OTC:NTTHF), NRG Metals Inc. [TSXV:NGZ] (OTCQB:NRGMF), North American Lithium (private), Piedmont Lithium [ASX:PLL] (OTC:PLLLY), Prospect Resources [ASX:PSC], Rock Tech Lithium [CVE:RCK], Sayona Mining [ASX:SYA] (OTCPK:DMNXF), Savannah Resources [LSE:SAV], Standard Lithium [TSXV:SLL] (OTC:STLHF), Sigma Lithium Resources, and Wealth Minerals [TSXV:WML] (OTCQB:WMLLF). 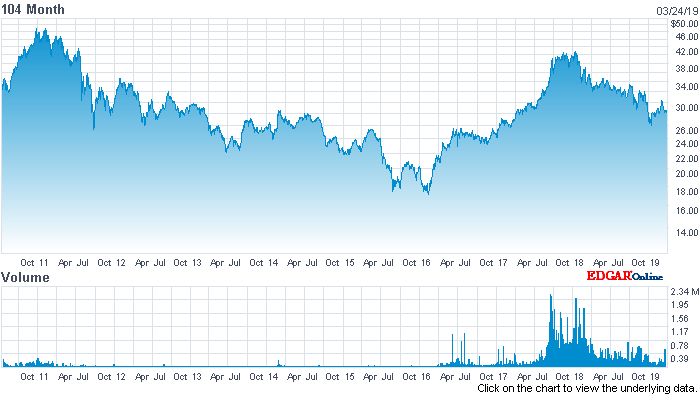 Global X Lithium & Battery Tech ETF (NYSEARCA:LIT) - Price = US$27.98. The LIT fund moved slightly down for the month of March. The current PE is 17.04. Given lithium demand should rise ~4-5 fold between now and end 2025 the lithium sector PE of ~17 looks very attractive. The portfolio gives investors broad exposure across the EV metals miners covering lithium, cobalt, nickel, rare earths, and graphite. I help as an analyst for the fund. The certificate is endless (open fund) and listed on the Stuttgart Stock Exchange, so it can be bought via a broker that carries the ISIN or via Wikifolio. The ticker is DE000LS9L822 listed on the Stuttgart stock exchange and accessible from any German exchange. Investors can view the portfolio holdings and learn more by accessing here. March saw lithium prices and the LIT fund both slightly lower. The main lithium producers are still doing very well. Benchmark Mineral Intelligence is now tracking 71 lithium ion battery megafactories under construction. Simon Moores - "Nowhere near enough lithium companies are getting funded....The lithium in the pipeline is well behind what is needed." Simon Moores - "You're going to have supply problems in the next 2 years for these battery megafactories... The demand is not just there, it is intensifying... there isn't enough (raw material)." Chris Berry - "A generally tight lithium market for the next three years at least." Joe Lowry - "My take on supply & demand. Don't look for a price crash any time soon. Demand is robust." Albemarle Corporation raises dividend for 25th consecutive year. Neometals - AUD$104 million divestment of Mt Marion equity interest complete. Orocobre - Cauchari JORC Resource increases to 4.8 million tonnes. Galaxy Resources - Posco transaction complete. Pilbara Minerals Stage 3 Scoping Study outcomes. Stage 3 (7.5Mtpa) post-tax NPV of A$3.73b. Wow! Pilbara Minerals exercises option to continue progressing downstream JV with POSCO. AMG - Revenue increased by 23% to $344.4 million in the fourth quarter of 2018. As usual all comments are welcome. Thanks for reading the article. If you want to sign up for Trend Investing for my best investing ideas, latest trends, exclusive CEO interviews, chat room access to me, and to other sophisticated investors. You can benefit from the work I've done, especially in the electric vehicle and EV metals sector. You can learn more by reading "The Trend Investing Difference", "Subscriber Feedback On Trend Investing", or sign up here. Disclosure: I am/we are long NYSE:ALB, JIANGXI GANFENG LITHIUM [SHE: 2460], JIANGXI GANFENG LITHIUM [HK: 1772], SQM (NYSE:SQM), ASX:ORE, ASX:GXY, ASX:PLS, ASX:AJM, AMS:AMG, TSX:LAC, TSXV:NLC, ASX:AVZ, ASX:NMT, TSXV:AIS, ASX:CXO, TSXV:PLU, TSXV:CYP. I wrote this article myself, and it expresses my own opinions. I am not receiving compensation for it (other than from Seeking Alpha). I have no business relationship with any company whose stock is mentioned in this article. Additional disclosure: The information in this article is general in nature and should not be relied upon as personal financial advice. I may receive 50% of the profit from the Lithium & electric metals fund's (ISIN DE000LS9L822) management fee, due to providing analyst services to the fund.